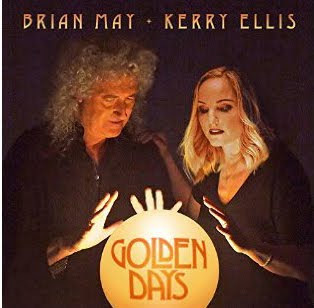 It's time for the long awaited release of the second studio album from Kerry Ellis and Brian May. It follows on from the 2010 release of ' Anthems ' and this new release features 13 songs 5 of which are brand new and I can safely say are all amazing to listen to. I've been a big fan of Kerry for many years and have been really looking forward to the release of this album I am also hoping a tour follows as it will be really good to hear this all live. Here is the track listing for the album which is only a few days away for release. Love In a Rainbow, Born Free and Can't Help Falling in Love. Whilst all the songs have been on repeat these ones have really stuck out for me. You can see the magic of their working partnership in this new music and I look forward to many more to come.